There are many mystical creatures in this world, and TrotCon is proud to say that we have found one. Our search was long and arduous, but this last minute guest was worth the wait! The myths and legends are true, and we are bringing him straight to you, M.A. Larson! My Little Pony, Friendship is Magic has gone and entire season without this man of many words but his notoriety and fan adoration remain intact. And why shouldn’t it? M.A. Larson, even in his absence, has written more episodes in his time with the show than all but two other writers. Though his work with MLP is astounding, his talent doesn’t stop there. Larson has written for many shows including My Gym Partner’s a Monkey and subsequently from the same creators, Littlest Pet Shop, and even an episode of Gravity Falls. He doesn’t just get around on screen, either, M.A. Larson just finished a new book, Pennyroyal Academy. We encourage all to look it up. The book has dragons, witches, fairies and all other kinds of mythological ilk based in the paradigm of the Brother’s Grimm. Comments Off on Writer Guest Announcement! We at TrotCon hope your spring’s going great, because before you know it, it’ll be over — and we’ll be celebrating the end of the season and the beginning of summer with a big ol’ blowout at TrotCon. As the sun sets on spring and ushers in summer, we’ll be having our own Summer Sun Celebration with a plethora of musical guests. Over not one, but two nights, we’ll be pleasing your ears with the sounds of some of the best of what the fandom has to offer, starting Friday night with our rock showcase. Hard rocker Cyril the Wolf will be our main headliner, with some delicious lead-up action from Survivors of the Siege, the Shakeups in Ponyville and Jeff Burgess. Afterward, we’ll be closing out the evening with a combo of musicians and rappers, including Nexgen and Aoshi. As for Saturday night? It’s all rave, baby. For the second year in a row, Eurobeat Brony will play the hits for you fine folk, kicking the party into full gear with some of the fandom’s biggest songs. Around him is a smattering of electronic musicians all rearing and ready to get you dancing from early in the evening until late, late, late into the night. You’ll need a cold shower and some breakfast once this is over, because it’s gonna be morning. At various points over the two days, we’ll have Illinois’ own pony music veteran 7th Element, Los Angeles up-and-comer DJ Garnika, hard-hitting duo Knife Pony, Columbus’ own SMOR3S and a flurry of others. In fact, how about we run down the whole list? Come to TrotCon to see: Eurobeat Brony, Cyril the Wolf, 7th Element, Additive Subtractive, Aftermath, Aoshi, Chang31ing, DJ Garnika, DJ Lupo B, DJ Tetsuo, Green Tinted Goggles, Jeff Burgess and the Bad Mares, Knife Pony, LizardRock, Mogul Dash, Nexgen, PhillyPu, PonyFireStone, Purity 36.0, SMOR3S, Sonic Breakbeat, Survivors of the Siege, The Shakeups in Ponyville and YourEnigma. But as the late and great Billy Mays might say, we’re not done! We also have the first wave of our panel programming announced for TrotCon 2014. You’ll come for the big-name guests like Andrea Libman, Peter New and Heather Breckel, but stay for the extensive amount of programming we’ll offer around the clock from the moment the convention opens until the end of closing ceremonies. Want to see Chelis, brony stand-up comedian extraordinaire? TrotCon’s got you covered. A panel on how messed up G1 My Little Pony could be? Again, you’re good. How the military and bronies can — and do — intersect? Of course! A plethora of fanfiction panels? Get those pens ready. Improv and episode transcript reading in crazy voices? We thought you’d never ask. We’ll even be featuring the wedding of our very own con-chair, Darkly Cute — and you’re invited! Check out a partial list of panels here, with more to come. Sound like a good time? Then come on out to TrotCon, this June 20-22 at the Sheraton Columbus at Capitol Square in Columbus, Ohio, and help us celebrate this amazing fandom. Comments Off on Musicians and Panels! Voice Actors & Fandom Guests! In 2013, TrotCon featured, for the first time in its relatively short life, VIP guests associated with the creation of “My Little Pony: Friendship is Magic” alongside our usual roster of community guests that we focused on exclusively in 2012. We heard you loud and clear after last year: the hybrid of show staff and fandom guests was a major selling point. So this year, we’re upping the ante slightly — by bringing in our first ‘mane six’ voice actress. We’re incredibly excited to welcome Andrea Libman to TrotCon 2014 this June. As the voice actress of Pinkie Pie and Fluttershy in “MLP,” Libman has made thousands of fans across the world with her wide range of different voices, she’s also appeared as Emmy in “DragonTales,” Madeline in “The New Adventures of Madeline” and multiple characters in “Strawberry Shortcake’s Berry Bitty Adventures.” Her talent earned her the Union of BC Performers’ award for best voice for her portrayal of Pinkie Pie and Fluttershy. Both Andrea and Peter will sit in on panels during TrotCon 2014 and will be available for autograph signings as well. More appearances may be added as the convention nears. That’s not all! In addition to our lovely voice actors, we have two brand new community guests to announce for this year’s convention. After attending last year, we’re excited to bring back SilverSlinger, formerly ChaoticBrony, as a featured artist. Though the bulk of well-known vendors in the community draw or mold their art, SilverSlinger sets himself apart as an aficionado of sterling silver and other metals, creating out of these materials various pendants, pins, flasks and other forms of jewelry. In addition to selling his wares in our Artists’ Acres. Finally, Animated James will be coming to Columbus to our convention for the first time. An amateur voice actor, animator, artist, musician and writer — what doesn’t he do?! Find out at TrotCon! — he’s created such works as Brony Polka, Sonic vs. MLP, Tails Reacts to What Does the Fox Say and much, much more. He’ll also be presenting multiple panels. Weekend badge prices are currently $35 through March 9, after which they will rise to $40 through May. Comments Off on Voice Actors & Fandom Guests! We had a great time at TrotCon 2013 with Eurobeat Brony, F3nning and many, many more taking our stage during Saturday night’s rave — so much so that, of course, we decided to do it all over again for 2014 — adding a night of music in the process. However, even though we’ve increased the performance slots available at TrotCon, we’ve still hit our limit — and then some! — and we still have a little less than three months to go before our original musician application deadline of April 26. As a result, we are going to be closing musician applications for TrotCon 2014 a few months early. The new deadline to submit musician applications will be Feb. 6 at 6 p.m. ET. — in other words, a week from this Thursday. After that, we’ll be closing submissions and beginning the simultaneously exciting and harrowing process of narrowing down our applicants to a nice, sound lineup. By closing applications early, we’re hopeful this will also allow a more convenient window of time for selected musicians to make travel arrangements to Columbus, Ohio, in June, if and when they are chosen. All other applications — panelists, artists and staff — will remain with their original deadlines, unless otherwise specified in the future. Want to apply to be a musician for TrotCon? Anyone can, whether you have some talent dropping the wubs, tickling the ivories or rocking the heck out of that kazoo. All we need is some basic information and a URL linking to a sample of your tunes — be it on Soundcloud, YouTube or otherwise. Check out the application here (http://trotcon.net/programming/music-app/). Straight out of TrotCon’s headquarters of Columbus, Ohio, Heather Breckel is part of the team behind some of the most beloved comics series in recent memory. She’ll be best known among bronies for her work as the official colorist of the My Little Pony comics from IDW Publishing, a position she also repped at TrotCon 2013. Turtle fans might also know her as the colorist on IDW’s current Teenage Mutant Ninja Turtles series, and her past credits include work on Peter Panzerfaust, Godzilla: Half Century War and more. As host of BlogTalkRadio’s Canterlot Radio, Dennis Daniel — aka Mic Check — has helped drive his podcast toward the top of the pony podcast heap. Known for his personable fan interaction on Twitter in addition to Canterlot Radio’s impressive roster of past guests and interviews, Mic Check will bring his knowledge of podcasting — his show was recently ranked one of BlogTalkRadio’s top 300 shows — and ponies to his first appearance TrotCon via a number of informative panels. Don’t miss Canterlot Radio Wednesdays at 3 p.m. ET! 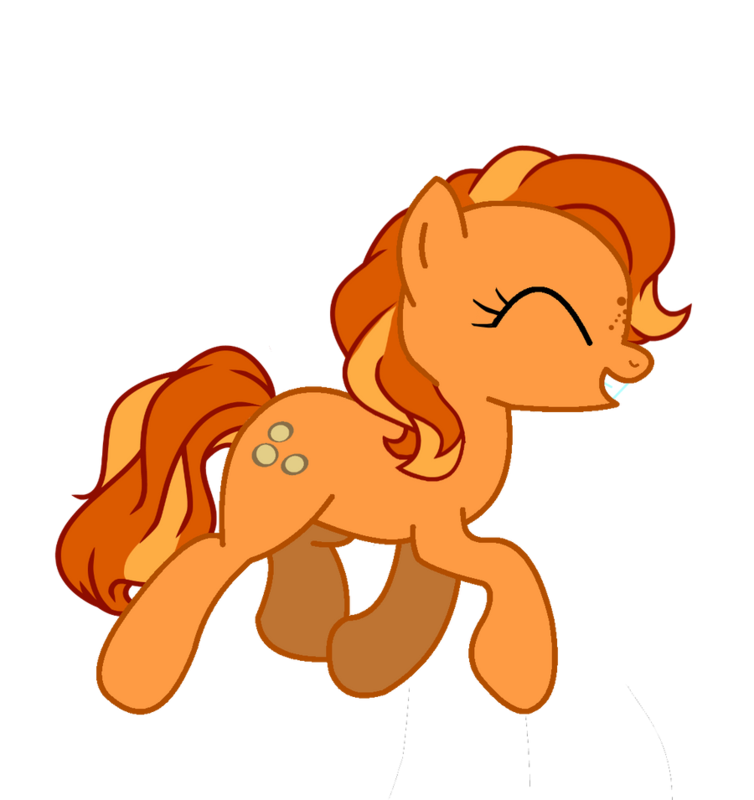 A relatively new Ohioan, PonyToast will be making his first trek to TrotCon this summer. Like Mic Check, PonyToast is one of the fandom’s top podcasters, hosting the long-running True Equestria Radio. But proving his stance as a jack of all trades when it comes to media, he also DJs at Fillydelphia Radio, is the Public Relations Director of Ponyville Radio and channels his inner Casey Kasem on the year-end Top 50 Pony Music Countdown each New Year’s Eve. Is there anything the guy doesn’t do? Ask him this June in Columbus! Calling all artists and designers — now’s your chance to have a hand in creating something special for TrotCon 2014! Our theme this year is Renaissance, and as such, we’re hoping to see plenty of cosplays and costumes that fit in with this historical sensibility. For the last two years, our very own mascot, Peanut Bucker, has gotten in the cosplaying spirit, but she’s having a bit of trouble finding out what to wear this year! After all, it’s tough to research good Renaissance costumes on the computer when all you have is hooves to type, right? So we’re throwing the duty of dressing Peanut Bucker over to our fans. We’re looking for a costume design for our lovely mascot, getting her decked out in the coolest of garb to show off when TrotCon takes Coltumbus this June. All we need is a drawing or design of your ideas for Peanut Bucker’s Renaissance costume (for a reference, try this or Google image search ‘Peanut Bucker’). Note that, as in the past, this will be worn by a human portraying a pony, so be sure your designs reflect that. Saddles might look cool on a real pony but a real one might wear our cosplayer down, for instance. Think of the back injuries. Click here for our super cool Peanut Bucker cosplayer from our first convention in 2012 as a potential reference, or perhaps this humanized version here. What’s in it for you? Besides having your design featured on our Peanut Bucker cosplayer at the convention to the best of our ability to find the parts of the costume you designed, we’re throwing in a free weekend badge for TrotCon 2014. If you’ve already purchased such a badge, we’ll refund you to make it free — no problem! If you already have a badge but would like the free one to give to a friend, that’s also fine. Sound interesting? Send your designs to trot@trotcon.net. We’ll be looking over the entries and picking a winner around the beginning of February, so get your designs in by Jan. 31 at 11:59 p.m. PT. This holiday season, the magic number here at TrotCon is 20. The day after Thanksgiving, millions will be braving the crowds to get some of the hottest deals for the Christmas season — but why not stay in the comfort of your own home this weekend and give that special somepony the greatest gift of all: 20% off all badges for TrotCon 2014! That’s right — 20% off the fun of Ohio’s first My Little Pony convention. Until March, our normal pre-registration badges run $35, get them for $28. The sale also applies to our sponsor badges, meaning you can become a sponsor of TrotCon for as low as $80. That includes $100 of savings on our alicorn-tier sponsor badge, now priced at $400 instead of $500! Get ’em fast, though. While there’s no limit on the amount of badges we can sell this weekend, you only have 96 hours to do it before badges return to their normal prices — and there’s no guarantee they’ll be this cheap again. The sale starts at midnight tonight and will end Monday evening. So far, we’ve announced quite a few awesome guests, including musicians Cyril the Wolf and Eurobeat Brony, Emily and Tayy from Everfree Network’s Pegasisters Live and artist extraordinaire Pixelkitties. You want more? Don’t fret; we’ll be announcing many more special guests before the convention rolls around this June. Comments Off on Black Friday Weekend Sale! Lets start out this announcement with someone who is returning for a 3rd time, one of our favorite artists Pixelkitties! A big welcome to Cyril the Wolf who has joined as our newest musician guest. And last but not least Emily and Tayy from Pegasisters Live have joined us for 2014. Want to know more about our new guests? Check out our featured guests page for a bio and picture for each of them! Since moving to a new server for the TrotCon 2014 site we also have brand new forums. So when you get a chance join them and tell us what you are looking forward to, who you are cosplaying, and so on! Our room block with the Sheraton is now up! The room rate is $102 a night. We are offering a discount on overnight valet parking for $13 a car a night. Group rate available until May 23, 2014. Comments Off on Book your Room!